In The Simpsons Game Homer, Marge, Bart, and Lisa use exciting, all-new powers to save the world from rising chaos. 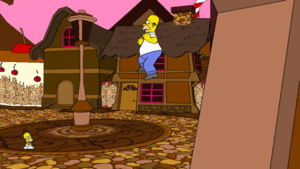 To help the Simpsons, gamers at home must journey through all of Springfield (as well as vast worlds beyond! ), vanquish an amazing array of villains, and fight their way through parodies of multiple popular games. This title has various rendering issues where things become transparent or their edge lines multiply wildly. Refer issue 4570. Anisotropic Filtering above 1x or Force Texture Filtering will cause the initial EA logo and other intro videos to display scrambled. Disable anisotropic filtering to correct this. 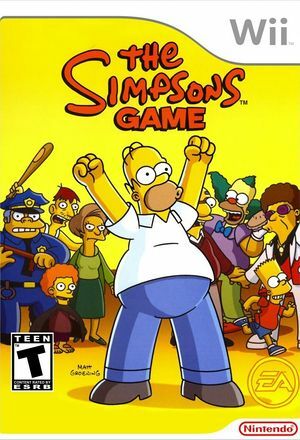 The graph below charts the compatibility with The Simpsons Game since Dolphin's 2.0 release, listing revisions only where a compatibility change occurred.